All that apple picking means lots of apple recipes to try. 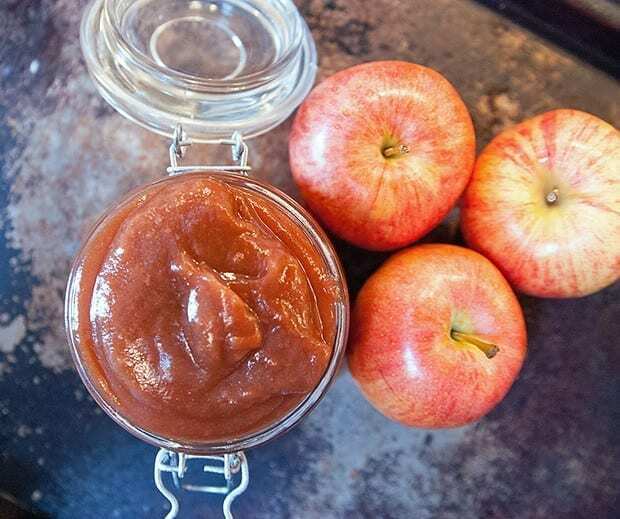 Apple Butter is one of my favorite things to pick up from the local apple orchards but making it homemade means I know what is going into it. Plus, it's simple, and I can use it in lots of other recipes as well. Today is a double the delicious recipe kind of day. 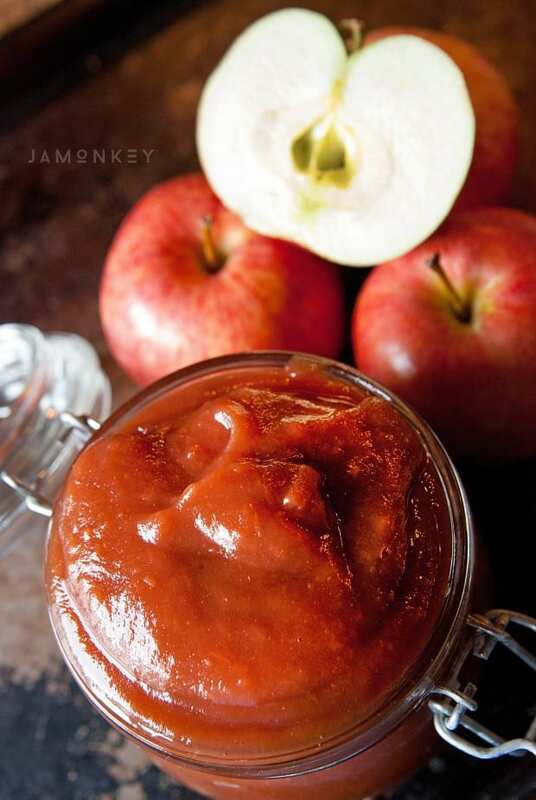 You'll need this Apple Butter recipe to make the beautiful Apple Tart I'm posting tomorrow. Chop your apples. You can leave the skin on them for added fiber and nutrients. 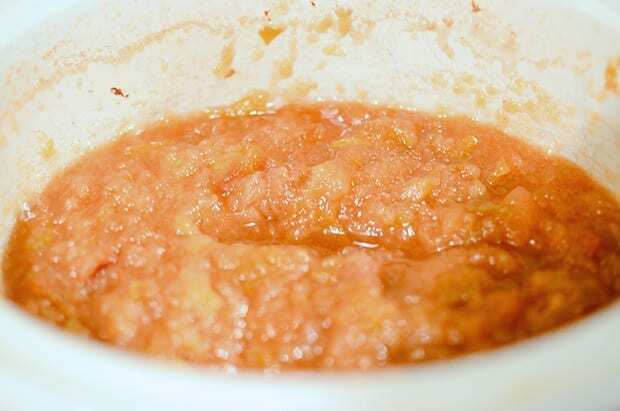 Add your apple to the slow cooker and add in your honey, apple juice, and cinnamon. Cook ok high for one hour. Lower your heat setting to low and allow the apples to cook for 8-10 hours. 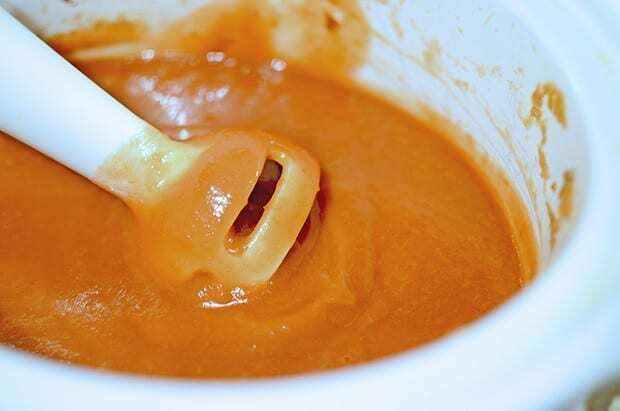 Using a hand blender, food processor, or a blender, blend the apple mixture until completely smooth. 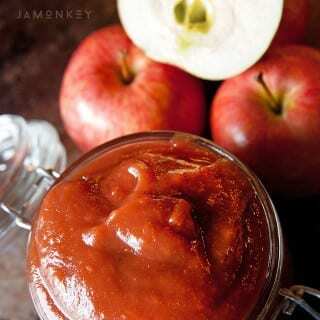 Taste the apple butter to test sweetness and the cinnamon flavor. Add more honey if you need it. Return to the slow cooker and cook another hour to cook some of the excess water out of the mix. Store it in an airtight container like a mason jar. Eat it on everything you can get your hands on. Chop and core the apples and place them in the slow cooker. Add the apple juice, honey, and cinnamon. 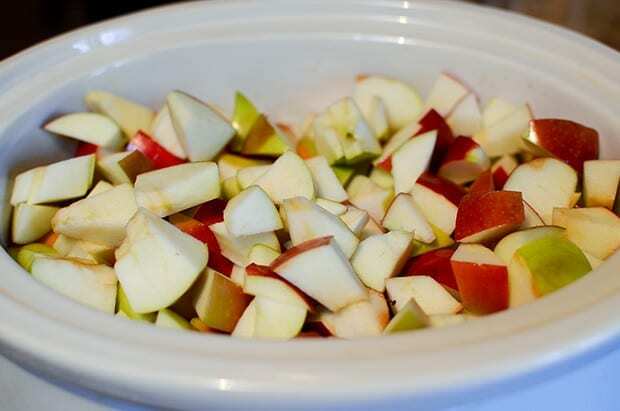 Cook the apples on high for one hour, and then turn the cooker to low and continue to cook them for another 8 – 10 hours or until they are very soft, stirring occasionally. 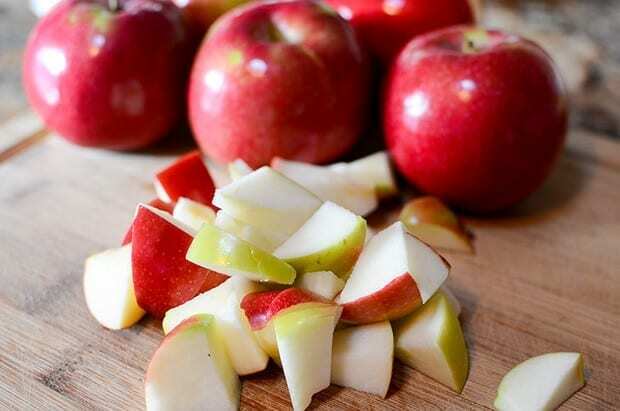 Use a hand blender, regular blender or food processor to blend the apples into a smooth consistency. Taste for sweetness desired (add more honey if you prefer) and cinnamon (add more if you’d like a more pronounced flavor). Return to the slow cooker and cook on low uncovered for another hour to reduce the liquid and make a bit thicker. I was curious as to how much apple juice, honey, and cinnamon? So sorry about that! The recipe ingredients were messed up. I’ve updated them with everything. Thank you for letting me know! I don’t know an exact expiration date but I’ve had apple butter in my fridge for over a year. If you seal it by canning it will last a long time.